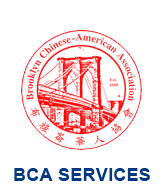 Brooklyn Chinese-American Association (BCA) offers free or affordable child care services through the ACS Full Day EarlyLearn Program. The program aims at meeting the child care needs of low-income families and families with working parents. The age group served ranges from 2 to 5 years old. The primary goal of the program is to enhance the overall development of the children - namely, their social, emotional, cultural, intellectual, cognitive, and linguistic growth - so that they will grow up into "whole" persons. Therefore, the program aims at creating a nurturing environment and exploratory experiences for young children to facilitate their overall developmental growth; promoting early literacy and English language fluency and establishing a healthy foundation for learning to prepare children for school. Comprehensive child development and family services are also provided to children and their families. For BCA 2018 ACS Annual Report, please click here.